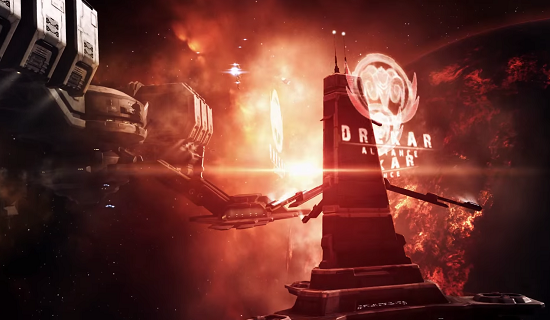 As most of you will already know, we here at CCP are currently in the midst of preparing and releasing a major rebuilding of EVE's Sovereignty capture system. We've released two dev blogs (here and here) detailing these plans so far, and your feedback and contribution has been invaluable as always. The next part of these changes are being deployed tomorrow in our Carnyx release, when Entosis Links will start being used to enable and disable station services, alliances will be able to pre-set their default vulnerability times and the in-space player activity of a system will begin to be collected in the Activity Defense Multiplier. As we continue to work on implementing and testing more parts of the new system we are continuously updating our plans and schedules to make sure we release the best possible quality as quickly as possible. We are moving the target date of the next set of major Sovereignty changes back one week to July 14th. This means that they will deploy as a one week follow-up patch to the Aegis release rather than as part of the main deployment. The ability to set custom vulnerability timers per structure will come in a later release, once we feel it meets the quality level our customers expect. We are still committed to this additional feature as we believe it will get us a stronger and more flexible system. It will be released as soon as it can be fully polished. These updates are part of our commitment to ensuring that this feature has the time to be thoroughly tested internally, with our external testing partners and by the community on our public test servers. It also ensures that we will have enough time to polish the usability of the feature ensure that every player can enjoy the new system. We'll be making full use of the rapid deployment system that CCP Seagull outlined in her recent dev blog in this process. It's always possible that more changes to the schedule could be made if new information comes to our attention, and as we respond to your feedback both before and after public test server testing begins. If more changes do occur we'll continue keeping you all up to date through the dev blog and community news systems, as well as official social media channels. Full information on release dates is also always available on our EVE Updates webpage, your one stop shop for information on what's coming to EVE. We have more dev blogs planned in the coming month, including one coming soon that will detail the transition plan from the old system to the new system on patch day. We continue to welcome your feedback and we'll be announcing soon when our test server war games will begin to help nullsec alliances try out the new system as well as providing us with more solid testing.